Vice Presidents Bryan Ward and Anthony Reed stand to the left of Stansbury Oquirrh Bowmen President Cory Brunson. Curtis Skou draws his bow and takes aim. 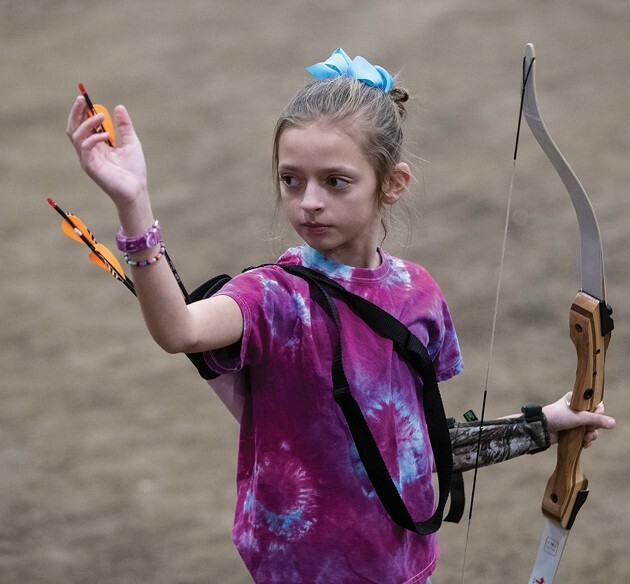 Ten-year-old Camille Higley takes an arrow for her bow to shoot at a target 20 yards away. The Stansbury Oquirrh Bowmen set up targets for their annual Deseret Peak 3D Shoot. The annual event draws hundreds of archers from around the state. 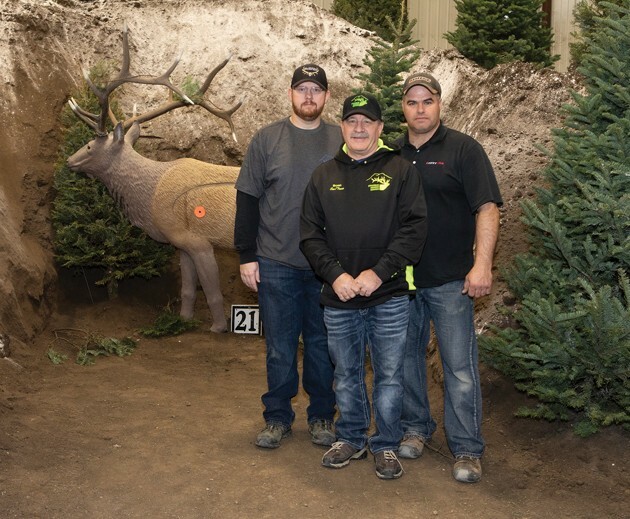 The Stansbury Ouqirrh Bowmen’s 18th annual Deseret Peak Indoor 3D Shoot last weekend attracted more than 400 people. 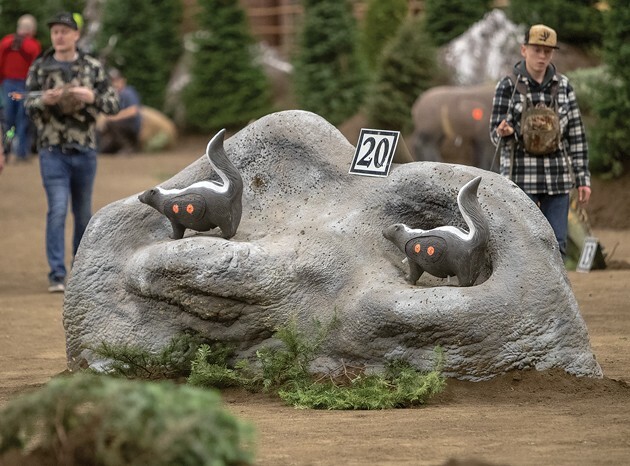 Preston Ward and his grandfather Arlo Ward, take aim at targets during the weekend shoot. Many members of the Ward family traveled to Deseret Peak to participate in the contest. Lucy Foster works to pull out an arrow from a target with help from her dad, Dave Foster. Conner Johns gives a thumbs up after sinking his arrow into Iron Maiden, a metal replica of an elk. If hunters miss the bulls-eye, they risk breaking their arrow on the metal target. The bulls-eye is the green area next to Johns’ thumb. 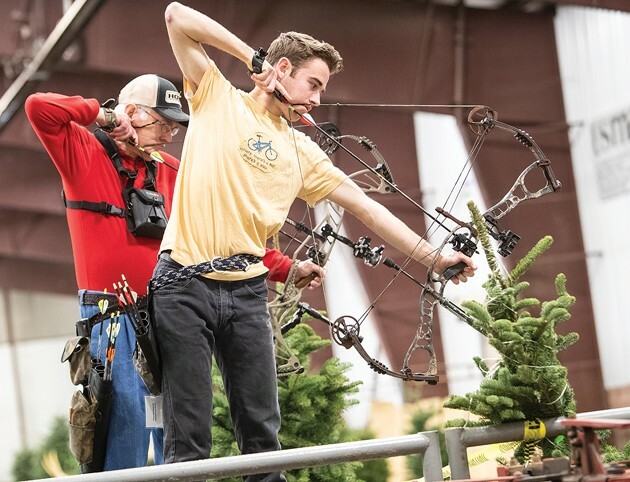 The Stansbury Oquirrh Bowmen archery club will celebrate its 35-year anniversary this year. But competitive archery has been around much longer than that in Tooele County. In fact, you might say it’s a family tradition. Bryan Warr of Erda has been involved in local archery groups since he was “a little tiny kid” in the ’60s and ’70s. But during the ’70s, local archery groups stopped organizing competitive shoots. The first official meeting of the new Stansbury Oquirrh Bowmen club took place in May 1984 in the old Tooele City library. Jay and Saranell Walk, Roger Warr, and Fred Shields were the founding members, according to the club website, www.stobarchers.com. Bryan Warr was elected as the club’s first secretary/treasurer. 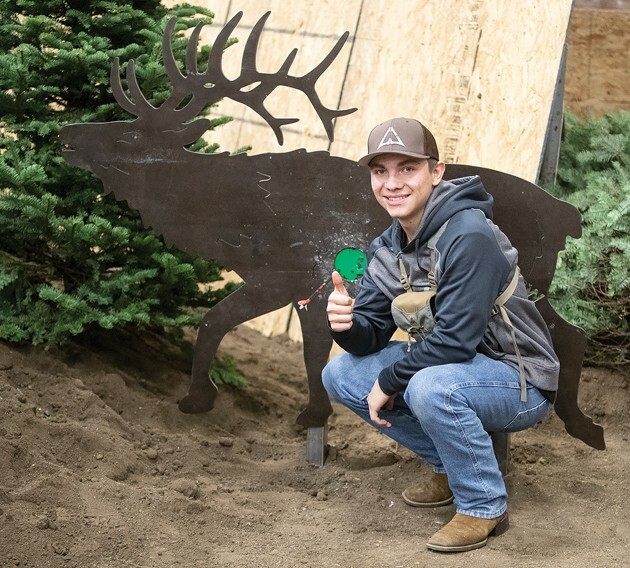 Although Warr used to shoot competitively, these days he mostly uses the club as an opportunity to have fun with his bow and practice for the archery hunt season. The Utah Division of Wildlife Resources uses archery hunting to help manage the state’s deer population — particularly along the Wasatch Front. The DWR currently holds four extended archery deer hunts to reduce the number of deer that enter cities and towns, according to wildlife.utah.gov. Archery has a stronger presence in Utah than some people may realize, said Anthony Reed, vice president of the archery club. 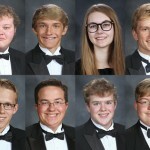 The Stansbury Oquirrh Bowmen is one of seven clubs affiliated with the Utah Bowmen’s Association, the state’s official representative in the National Field Archery Association. Typically, the clubs hold 4-5 big archery shoots in Utah each year. The Stansbury Oquirrh Bowmen just held its 18th Annual Deseret Peak Indoor 3D Shoot on Saturday and Sunday. More than 400 people were there, said club president Cory Brunson. The club is known for setting up detailed, realistic target ranges, Brunson said. 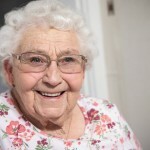 In the past, they’ve gotten participants from all over Utah, as well as Idaho, Nevada and Wyoming. 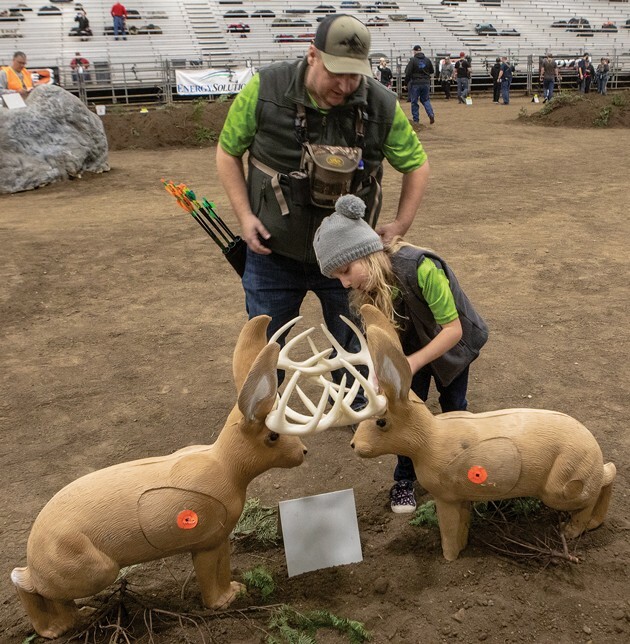 The annual indoor 3D shoot started in 2001 — the same year Brunson joined the Stansbury Oquirrh Bowmen at the encouragement of his uncle, founding club member Jay Walk. At the time, the shoot drew around 30-40 archers. The biggest attendance the club has seen at the shoot to date was in 2017, when more than 500 shooters signed up to participate, Brunson said. 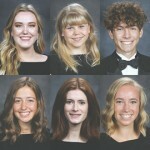 The number of out-of-state visitors that typically attend the event was significant enough to net the club a $1,000 tourism grant from Tooele County in 2018, which the club used to help pay its rent at Deseret Peak Complex. 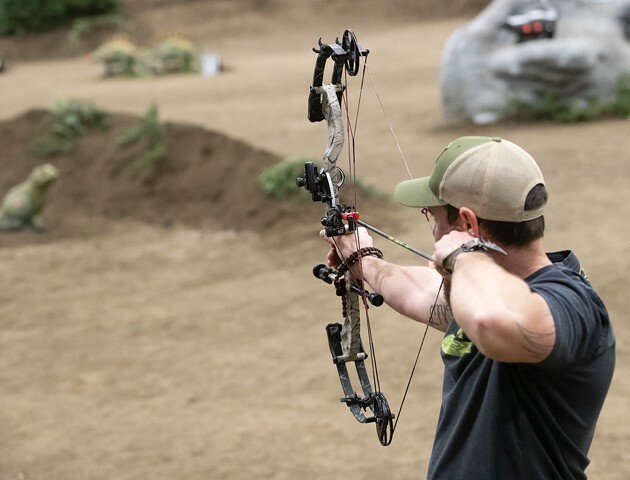 In addition to the annual indoor 3D shoot, the archery club organizes weekly league nights. During the winter season, from November- March, league shooting is held in the indoor arena at Deseret Peak each Thursday at 7 p.m. The summer league is held on an outdoor range at Deseret Peak between June and August on Wednesdays at 7 p.m. The league costs $8 for adult club members, or $15 for nonmember adults. Teens age 14-17 can get in for $5, while children age 13 and under shoot free. Club membership is $40 per family per year. Considering the cost of maintaining the 3D targets, Brunson considers the club fees a great deal. Reed has been an archery hunter since he was a child. 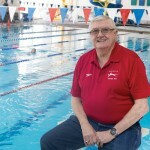 He joined the Stansbury Oquirrh Bowmen around 15 years ago. Reed’s parents and older brother participate in the club, too. Currently, the club has 40-48 family memberships, or around 80 registered individuals. Summer league participation is typically lower because there are a lot of other sports and activities going on that compete for family time. Last summer, Brunson was pleasantly surprised to get a good weekly turnout. However, he and the rest of the club leadership will continue to advertise the league whenever they can. 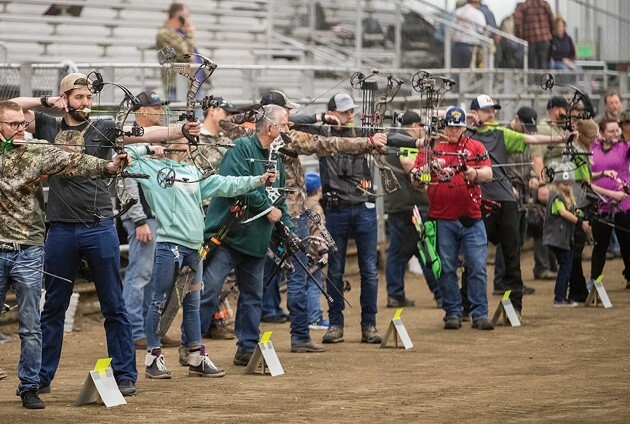 “I think there are a lot of people in Tooele County that still don’t realize we have an archery club that shoots at the complex,” Brunson said.